After its first fragrance Repetto Eau de Toilette from 2013 and its Eau de Parfum flanker from 2014, Repetto presents a new version called Repetto L'Eau Florale. Repetto L'Eau Florale comes out in April 2015. The composition was created by perfumers Juliette Karagueuzoglou and Nicolas Beaulieu. It opens with a dominant note of rose, accompanied by fresh grapefruit and plum blossom. Rose continues its presence in the heart of the perfume with additional accords of violet, cedar and dark patchouli. Amber in the base finishes the scent. 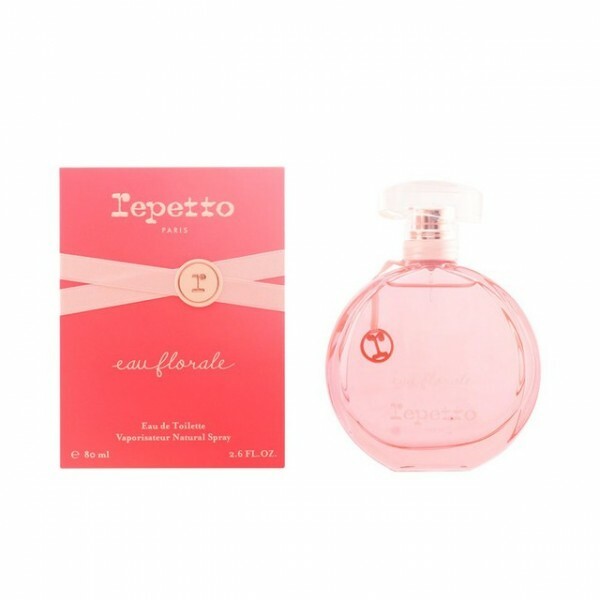 Beli parfum original Repetto L'Eau Florale for Women sekarang, harga termurah di Indonesia!! Nikmati promo dan penawaran eklusif parfum original Repetto hanya di bakul parfum.